A driveway is simply a short private road that leads to a house, premises or garage. This is a common feature that you will find in homes. A compound that has a tattered and pattered driveway is mostly mistaken with a place that is no longer in a habitation or not fully utilized. Anywhere that is occupied with human traffic is revealed by roads and driveways which are always a reflection of livelihood. There are several circumstances that can cause this kind of concrete to undergo tear and wear. Weather conditions are the major influence of its destruction. Rapid heating and cooling such as on autumn days and nights can cause cracks to appear on the concrete driveways. 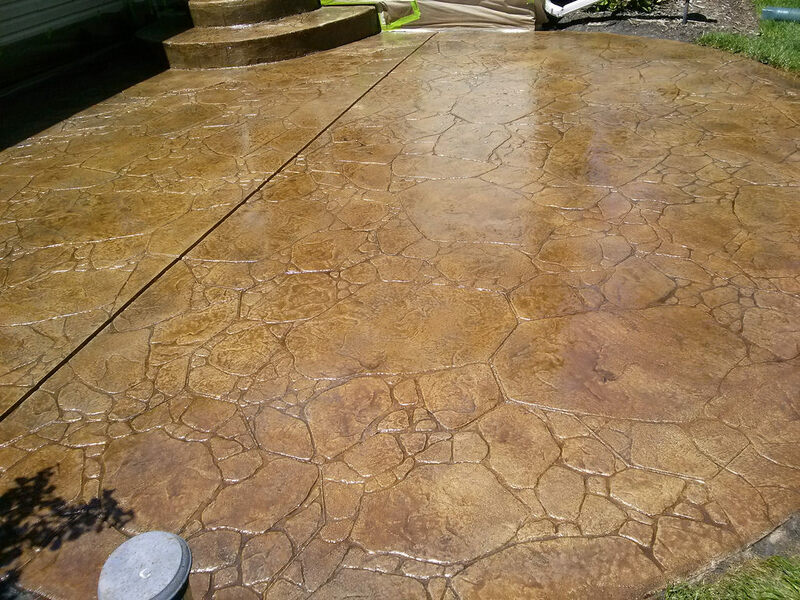 Some small areas of the concrete surface also tend to chip with harsh weather conditions. The sand is one of the materials that are used to make the concrete driveway. However, this material is porous and does not need a lot of o exposure to water. The challenge with driveways is that they are located on the outer section of the house. Therefore, you cannot avoid water from getting into contact with these surfaces. You may find the concrete sliding or sink as a result of this water getting to the base of the surface. A heavy load can also cause a bad impact on the driveway. Concrete Driveways are not normally constructed in the same way as highways, therefore, cracks or scars will be left if a heavy vehicle or heavy load passes on it. In addition, some trees have extended root that penetrates the base of the concrete causing pressure from beneath the surface hence cracks develop to the surface. Improper work especially finishing and curing is the other cause of defects of the concrete work. This weakens the surface that is highly vulnerable. This may end up exposing it to any form of damage that may come its way. Given all these potential threats of damage to your driveway, it comes out clearly that you need to take good care of your surface. The starting point is to bring a highly experiences professional likehttpwww.customconcreteorlando.com to work on the installation process. In this way, you will be sure of getting a hard surface that will resist most of these threats. Make sure you undertake regular maintenance and driveway repairs at early stages. Tear and wear is a normal process and allowing the problem to expand can make the repair process more expansive in the long run. There are several ways to repair small or worsened driveways if you want to maintain the good look of your premise. Cracks and chipping off of the surface can be repaired by cementing the place or using bonding agents from the local hardware shops. Potholes may be filled with a cold mix of asphalt. Big cracks and severe deep may require a contractor with the right equipment to enable them to get the full treatment. There are some cases where potholes are too big due to the buckling of concrete. This may call for ripping away the old concrete and preparing a new surface right from the base. You can use this simple procedure of repair if it is a small matter you can solve. First, ensure the place you intend to repair is free from dust and dirty by cleaning with the pressure washer if available or just by a metal Bristol broom. Make the mixture you intend to use for repair. Pour the mixture in the cracks or potholes and fix them well to fit the area then leave it to dry. Do the resurfacing and clean it with the broom so that it is not very slippery when wet. A repaired place can withstand the passage of cars after a day depending on the intensity of the repair. If your driveway needs more involvement, look for a contractor to do the repair with much professionalism to avoid repeating the driveway repairs regularly because of workmanship. Well installed and maintained driveways should have maximum maintenance to minimize recurring repairs. There are some tips you can use to maintain your driveway that will give it a good look while still providing durability. One way is sealing as it slows down deterioration caused by sun heat, water runoff and the daily use of the way. Sealing should be done in relation to the local climate for some regions. Some areas like garages may have oil and fuel spills. Oils do not cause a lot of harm but attract a lot of dirty to the driveway. This may force it to lose its attractive look. On the other hand, fuel can cause defect over time and hence it is safe to clean it as soon as possible using the recommended detergents. Ensure that water runs away from the concrete surface so that it does not penetrate underneath the concrete. You can dig drenches alongside the concrete driveway to direct the water appropriately. Avoid Passing heavy loads or packing heavy vehicles on your concrete as this will cause your concrete to last for a shorter period of time. It is crucial to ascertain that when you prepare your concrete for the first time, it must be well done to avoid these costly driveway repairs. Ensure that the contractor lays the correct amount of the sand at the base to avoid covering a mess. Concrete driveways inexpensive during construction and the cost of driveway repairs is even much cheaper. Most of the repairs are small issues that develop as time passes and you should not allow them to grow into a big issue. It makes a more economic sense to repair them at the early stages. Observe your concrete surfaces regularly to see if there is an issue that requires your attention and be keen to address it asap.